London based family firm of ecclesiastical architects. The firm originated in the Westminster office of Augustus Welby Northmore Pugin (1812-1852 ), the great pioneer and exponent of the Gothic revival in England, and the designer of the interior decoration and architectural details of the Houses of Parliament, London (1836-60). His sons Cuthbert Welby Pugin (1840-1928) and Peter Paul Pugin (1851-1904), known as PPP, succeeded to the firm after the death of their older brother, Edward Welby Pugin (1834-75), in whose office they had trained. They were later joined by Sebastian Powell (b. 1866) and H C Purcell. They produced an astonishing number of buildings, alterations and furnishings for the Roman Catholic Church and their work can be seen in almost every Catholic diocese in Britain. Designing its colleges, monasteries, mission halls, presbyteries and schools, they worked exclusively in the Gothic style and often used rough- hewn, red Dumfrieshire stone for their Scottish work. Most of their buildings incorporated exterior statues of saints and clerics but the identities of their sculptors remain unknown. William Vickers , whose firm specialized in ecclesiastical carving, might have been their carver. 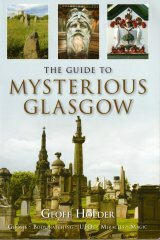 He is known to have produced the architects' Priests of St. Peter's Seminary Monument in St. Peters Cemetery (c. 1894, partially demolished, c. 2006), as well as the statues and altars for a number of Catholic churches in Glasgow, and is therefore the most likely canditate for attribution as the carver of the statues and ornament on Pugin & Pugin's churches. Appointed Architects to the Archdiocese of Glasgow, they designed a large number of buildings in the poorer districts of the city and its neighbouring burghs. These include the alterations to St Francis Church, 405-7 Cumberland Road (1878-81) and the designs for Our Lady and St Margaret, 110-18 Stanley Street (1882); St Peter's College, Bearsden (1882); St Bridget, Swinton Road (1891-3); St Agnes, Balmore Road (1893-4); St Alphonsus, 217 London Road (1905); Holy Cross, Dixon Avenue (1909-11); and St Robert Bellarmine (1955-9, designed by H C Purcell). A number of the firm's buildings have been demolished including, the Catholic Apostolic Church, 340 McAslin Street (1852, dem. 1970), designed by A W N Pugin; the Catholic Church and Presbetery, Kinning Park (1881-2) and St John's Catholic Church, 90 Portugal Street (1896-7, dem. c. 1990). Outwith Scotland, their work includes the Church of the Immaculate Inception, Dadizeele, Belgium (1857-9), and Queenstown (now Cohb) Cathedral, Ireland (1868-1919), together with a number of churches in Liverpool and London. PP Pugin was invested as a Knight of the Order of St. Sylvester by the Pope in 1889. Curle, James Stevens (1999) A Dictionary of Architecture, Oxford.